Yoshie Morino (photo by Avissh collection) has joined two of Len Davies' upcoming projects. The Japanese actress is working on two future projects with executive producer, Len Davies. 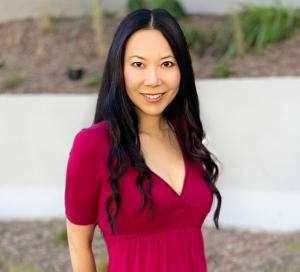 LOS ANGELES, CALIFORNIA, USA, March 11, 2019 /EINPresswire.com/ -- Acclaimed Actress Yoshie Morino has been announced to star in two future projects, Team 4 and Astral Princess, by executive producer, Len Davies. The series is expected to be filmed in Los Angeles. “We are thrilled to have Yoshie attached to the cast, and know she will help attract international audiences,” Len Davies said. The action TV-series, Team 4, is about high-level law enforcement agents who have been implanted with nanotechnology to give them greater skills and knowledge to perform their missions. These agents risk their lives protecting the world from all threats. Yoshie will portray the team leader of these nano-enhanced agents as Controller Kumiko Kobayashi. Kobayashi's primary responsibility is to program the nanobots that are inside the agents. She was an assistant on the original project and was given the highest level of security clearance from the NSA. "I am very excited to be working on such a groundbreaking project, with so many incredible actors," Yoshie said. "I especially appreciate the opportunity to represent such a strong and intelligent female leader in the character of Kumiko." In Astral Princess, Yoshie plays the role of FBI field agent Ami Soto working on a complicated case involving a kidnapping. The story becomes more intriguing when the FBI enlists the aid of a woman with extraordinary abilities to help them solve the case. 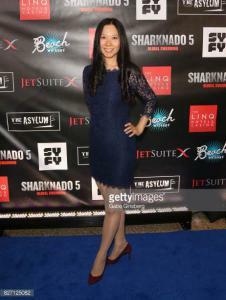 Yoshie's film credits include Sharknado 5 with Tara Reid and Bai Ling, and is well known in industry circles for her strong ties with The Asylum production company and appearances in other sci-fi films. Her series regular credits include the dance-themed series First Step, and the role of Ana in the comedic series Bro-Dum with British actor, Alexander Loxton. She recently appeared at the TOSCARS, and is serving on the panel again for the 2019 Glendale International Film Festival.